Ancient Deception Throwing Cards are definitely not your average ninja throwing stars! Each 2 5/16" wide x 3 15/16" long steel throwing card boasts a comfortable slim profile, piercing corners and astonishingly sharp beveled edges all the way around. These razor sharp cards are serious weapons - not mere novelties or display pieces to be trifled with. That's not to say you can't proudly show them off, however. Contrasting color and art make these distinctive steel "cards" perfect for showcasing in an Eastern weaponry collection or on their own. 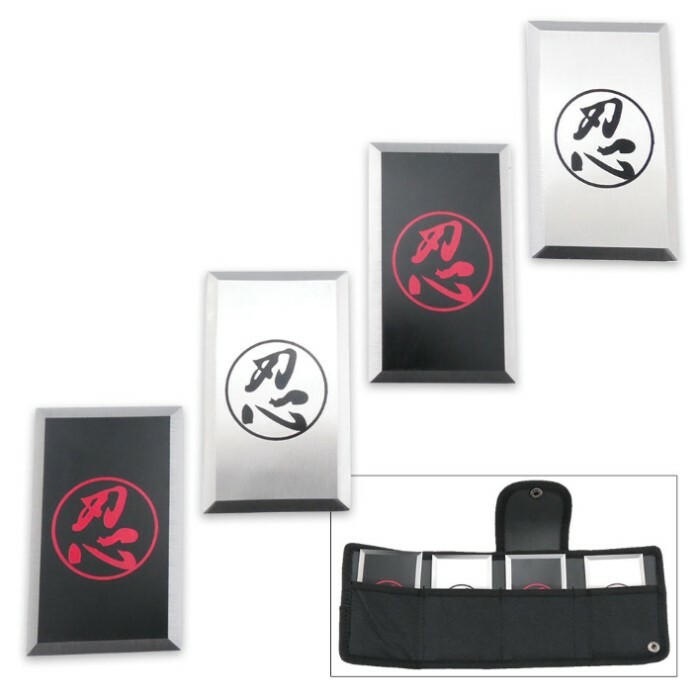 Two cards are black with red Kanji calligraphy and the other two, silver with black calligraphy. 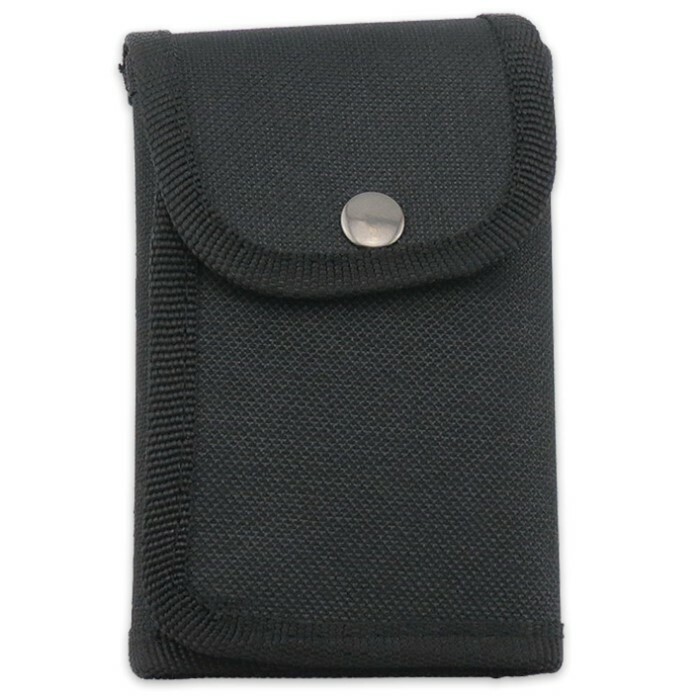 The dramatic set is housed in a sturdy nylon folding pouch with snap closures. If you want real versatility and range in your ninja or black ops arsenal, the Ancient Deception Throwing Card set is a must-have!